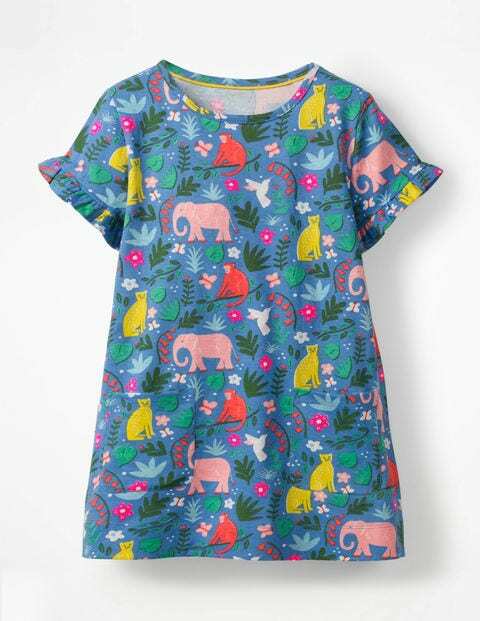 Warm days were made for muddy knees, picnics and this bright and breezy tunic. The jersey fabric is soft and breathable and the two patch pockets on the front are ideal for collecting everyday treasures (we’re thinking shiny seashells). Frills on the sleeves are the final touch. Simply pair with leggings and go.